Reaffirming his status as an unprecedented live performer, Denver-based artist Nick Miller—known professionally as ILLENIUM—will grace the stages at two of North America’s most hallowed venues in 2019. He hosts his biggest continental headline show to date at Madison Square Garden in New York, NY on September 21 and launches a two-night stand at Colorado’s legendary Red Rocks Amphitheater October 11and 12. A special pre-sale begins tomorrow, March 13, while general on-sale commences March 15. Tickets will be available here: http://illenium.com/tour/. In other big news, the critically acclaimed force will unveil an official remix package for his latest single, “Crashing” Featuring Bahari, this Friday March 15. The original version has garnered over 4.3 million Spotify streams and emerged as an emotionally charged fan favorite. ILLENIUM has ignited some of the biggest stages across the country. His 2018 Awake 2.0 Tour sold out every single date, including three nights at San Francisco’s Bill Graham Auditorium and NYC’s Terminal 5 respectively, and two nights at the Aragon Ballroom in Chicago. ILLENIUM looks to 2019 with performances at ULTRA Music Festival in Miami, FL on March 30, and Bonnaroo Music & Arts Festival in Manchester, TN on June 16, while his Hakkasan Las Vegas residency continues through August. With more music on the way, ILLENIUM stands on the precipice of an historic 2019. Get ready! ILLENIUM creates immersive emotional experiences, displaying an adeptness for crafting aural arrangements that vary in style, beauty, complexity and depth. 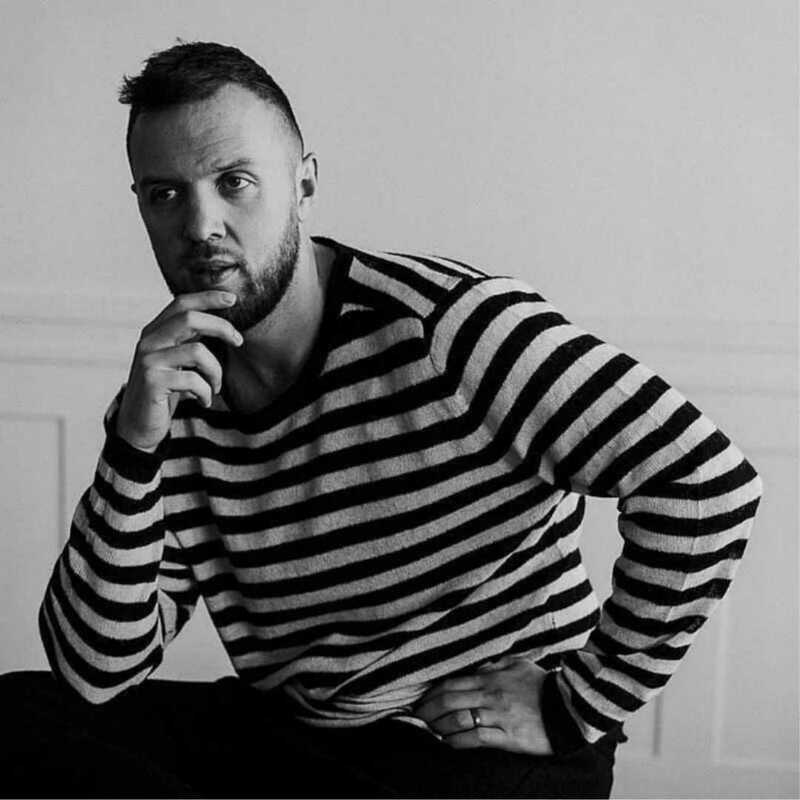 With two full-length albums to his credit and sundry singles and remixes, he has surpassed the one billion stream mark across his discography. ILLENIUM’s Awake Live headline tour captivated audiences across the country, and sold out such renowned venues as The Shrine, Terminal 5, Bill Graham Civic Auditorium, Aragon Ballroom and Red Rocks. His remix of Flume’s “Say It” earned him an Electronic Music Award for “Best Remix” in 2017. 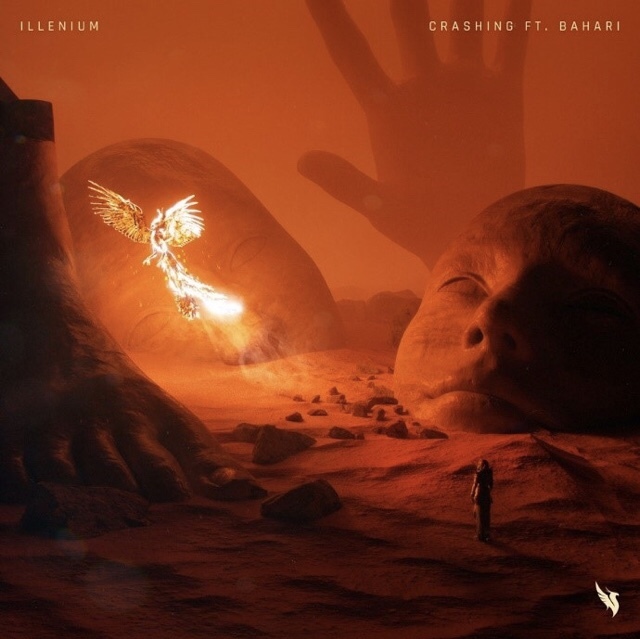 ILLENIUM’s recent collaborations include “Don’t Give Up On Me” with Kill The Noise ft. Mako and “Gold (Stupid Love)” with Excision ft. Shallows. 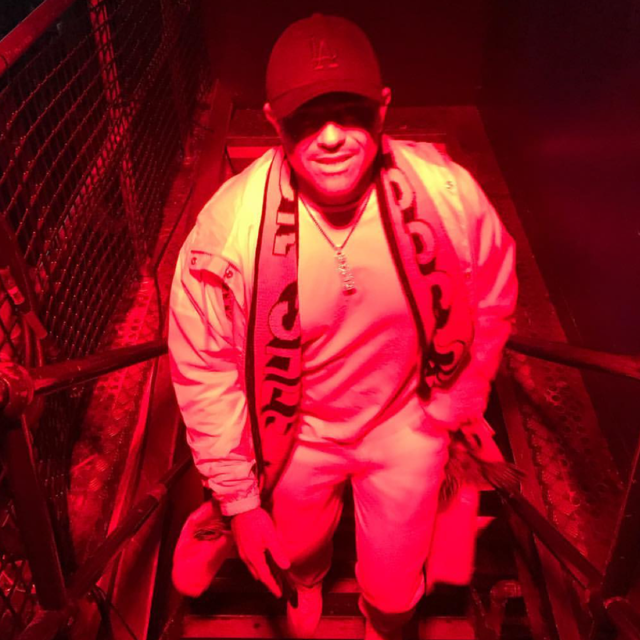 This entry was posted in Uncategorized and tagged 360, 360 Magazine, apple music, EDM, Illenium, iTunes, Madison Smushkevich, Madison square garden, North American Tour, Red Rocks Amphitheater, spotify, tour, Vaughn Lowery, vevo, YouTube on March 16, 2019 by wp360mag. GiGi, is a passionate award-winning actress and recording artist with multicultural roots. She is currently in the studio recording her debut tracks with hopes to emerge as the first teen EDM Trap Pop recording artist. GiGi’s sound is unique and captivating and her stunning vocals are just as intuitive. Influenced by pop stars as diverse as Lil Miquela, Post Malone and George Michael, GiGi has conceived a unique blend of R&B, soul and trap pop music with a twist. Even at the young age of 13, she is already making headlines, not only as a musician, but also as an actress. Last year, she received an unprecedented nomination at the Imagen Awards for Best Actress in a feature film competing against fellow nominees Salma Hayek and Eva Longoria. She plays principal roles in two films currently in post production, a dramatic comedy Space Captain and Callista and comedy, Go With The Flow. Learn more about GiGi, and do not miss out on her upcoming releases. For all things GiGi go here. This entry was posted in Uncategorized and tagged 13, 2019, 360 Magazine, Celebrity, culture, dancer, EDM, entertainment, Eva Longoria, generation z, GiGi Cesare, imagen awards, lifestyle, millennials, music, pop, Post Malone, r&b, recording artist, SELMA, style, Trap, Vaughn Lowery, youth on March 12, 2019 by wp360mag. ASCAP has added leading music creators from the pop, country, EDM, Latin, hip-hop and video game music worlds to its 2019 “I Create Music” EXPO lineup. On the heels of his Oscar win for Best Original Song, “Shallow” co-writer Anthony Rossomando will look back on his two-decade journey to co-penning the anthemic Lady Gaga and Bradley Cooper mega-hit from A Star Is Born’s original soundtrack. Grammy, CMA and ACM winner Lee Ann Womack will share the songs that have won her a dozen awards, including her breakout Billboard Country #1 “I Hope You Dance” and selections from her most recent album The Lonely, The Lonesome & The Gone, named a best-of-2018 by NPR and Rolling Stone. In addition to sharing their stories and advice, top songwriters will inspire by performing some of their most notable hits from the 2019 EXPO stage. Singer, songwriter, producer and musician Matthew Koma, known for collaborating with Zedd on the #1 EDM hits “Spectrum” and “Find You,” and for co-writing the #1, Grammy-winning and triple-platinum “Clarity,” will be on hand to perform from his impressive multi-genre catalogue. Koma, who has also worked with artists including Britney Spears, Kelly Clarkson, Shania Twain and Bruce Springsteen, currently fronts his newly-formed West Coast band Winnetka Bowling League. Oscar-winning songwriter, ASCAP Chairman of the Board and President Paul Williams will kick off the Annual ASCAP Membership Meeting. Additional panels will shine a spotlight on some of this year’s hottest areas for emerging music, from the Atlanta music scene to Latin music’s role in mainstream pop, to songwriting in video games. For the first of these, previously-announced EXPO panelist Don Cannon (2 Chainz, Lil Uzi Vert, Jeezy) will be joined by Atlanta music luminaries like 21 Savage manager Kei Henderson, Capitol Music Group’s Senior Vice President of Global Creative Amber Grimes and Tunde Balogun of LVRN, the multi-faceted team behind D.R.A.M., Raury and 6LACK. Latin music’s growing impact on the US pop charts will be highlighted in a panel with music creators like two-time ASCAP Latin Songwriter of the Year Claudia Brant, DJ Ali Stone (the opener on Justin Bieber’s Purpose tour) and Romeo Santos co-writer and musical director Joaquin Diaz, who join previously-announced Latin Grammy Producer of the Year Linda Briceño (aka Ella Bric). Diaz and Bric will also team up with award-winning producer-songwriter Tommee Profitt (Migos, NF, productions for ABC, NBC, FOX, CBS, ESPN, NFL, NBA, NHL, MTV, VH1, NETFLIX, Hulu, HBO, more) and previously announced Mike Woods of duo Rice N Peas (G-Eazy, Mike Stud, Jay Sean) for a Hit Producers conversation about the art and business of producing. Grammy-nominated and two-time BAFTA-winning composer Austin Wintory (Assassin’s Creed Syndicate) will moderate a panel about creating action-packed songwriting for video games with composers Jack Wall and Cindy Shapiro (Call of Duty, Mass Effect), Darren Korb (Bastion, Transistor, Pyre, Hades) and Ubisoft’s Lydia Andrew (Assassin’s Creed Odyssey, Assassin’s Creed Syndicate). The ASCAP EXPO will also give attendees the chance to have their original songs heard by leaders from across the music industry, adding A&Rs like Ty Cannon (Aftermath), Jermi Thomas (Columbia), Jae Brown (Capitol) and Jennifer Goicoechea (Epic) to judge showcases and feedback panels throughout EXPO’s three days. Others added to the EXPO include “Music Business Toolbox” founder Bryan Calhoun. 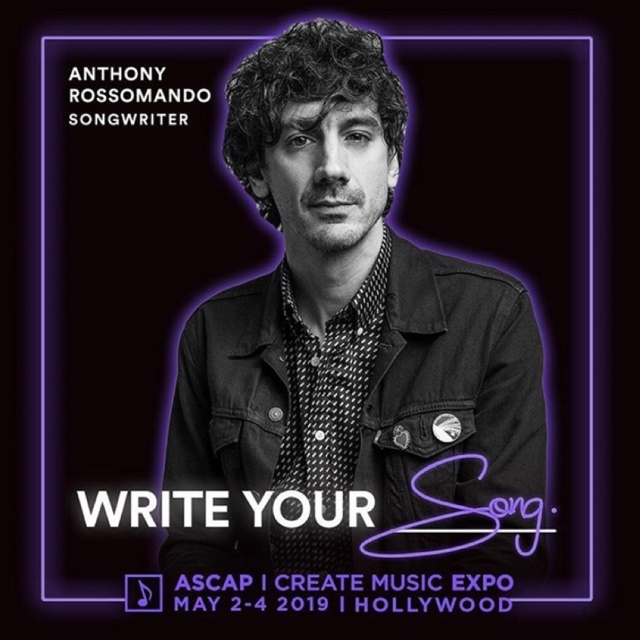 The ASCAP “I Create Music” EXPO will take place May 2 – 4, 2019 at the Loews Hollywood Hotel in Los Angeles. It is the only music conference completely dedicated to music creation and what it takes to be a professional music creator today, attracting over 3,000 music creators for three days of panels, workshops, master classes, keynotes and one-on-one sessions with the industry’s top hitmakers. ASCAP EXPO panelists participate because they want to give back to the next generation, and the feeling of community and giving back is authentic, infectious and inspirational. Many who come to the EXPO walk away saying that it is a life-changing experience. ASCAP EXPO will be making many more panelist additions in the coming months. The American Society of Composers, Authors and Publishers (ASCAP) is a professional membership organization of songwriters, composers and music publishers of every kind of music. ASCAP’s mission is to license and promote the music of its members and foreign affiliates, obtain fair compensation for the public performance of their works and to distribute the royalties that it collects based upon those performances. ASCAP members write the world’s best-loved music and ASCAP has pioneered the efficient licensing of that music to hundreds of thousands of enterprises who use it to add value to their business – from bars, restaurants and retail, to radio, TV and cable, to Internet, mobile services and more. The ASCAP license offers an efficient solution for businesses to legally perform ASCAP music while respecting the right of songwriters and composers to be paid fairly. With more than 700,000 members representing more than 11.5 million copyrighted works, ASCAP is the worldwide leader in performance royalties, service and advocacy for songwriters and composers, and the only American performing rights organization (PRO) owned and governed by its writer and publisher members. Learn more and stay in touch at www.ascap.com, on Twitter and Instagram @ASCAP and on Facebook. This entry was posted in Uncategorized and tagged 360, 360 Magazine, A Star Is Born, ACM, ANTHONY ROSSOMANDO, ASCAP, Austin Wintory, Authors and Publishers, Bradley Cooper, Claudia Brant, CMA, country, DJ Ali Stone, EDM, Grammy, Hip-Hop, hitmakers, i create music expo, Joaquin Diaz, keynotes, lady Gaga, Latin, LEE ANN WOMACK, lineup, master class, MATTHEW KOMA, Mike Woods, music, music industry, one-on-one sessions, PAUL WILLIAMS, pop, Rice N Peas, Romeo Santos, shallow, Tara McDonough, The American Society of Composers, Tommee Profitt, Vaughn Lowery, video games, worksop on March 11, 2019 by wp360mag. 24 Hour Passes on sale now. The Night League, the team behind the award-winning Ushuaïa and Hï Ibiza, today reveals the line-up for Odyssey, a 24-hour opening party extravaganza taking place at Ushuaïa and Hï Ibiza on 18 May. This will be the first time two Ibiza superclubs have come together to throw an unforgettable 24-hour, outdoor-indoor opening party and have brought together a world-class roster of some of the most sought after underground acts to celebrate. Taking the reigns at the iconic Ushuaïa Ibiza from midday to midnight will be revered Italian production partnership Tale Of Us, joined by German techno don Stephan Bodzin (live), international techno superstar Paul Kalkbrenner (live), rising icon Peggy Gou along with Copenhagen based DJ & producer Denis Horvat, rising Kompakt selector Anni and Keinemusik collective’s Reznik (who soundtracked the Odyssey teaser video). 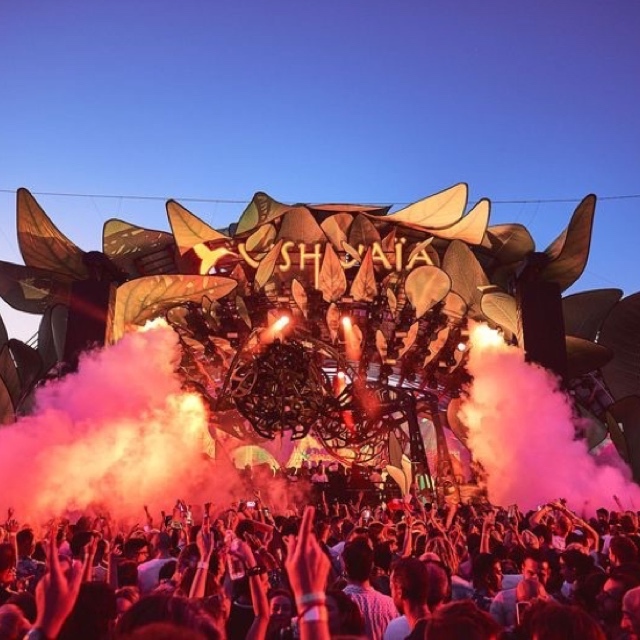 Clubbers will be able to party through the daytime and sunset at Ushuaïa for the first instalment of what promises to be the most epic opening party to date. Then on to the award-winning Hï Ibiza when the sun goes down from midnight to midday, for the second installment, where Germany’s finest Adam Port will take the baton at 12pm in the ‘Theatre’ (main room). He will be followed by one of techno’s most sought after duos Adriatique and Crosstown Rebels boss Damian Lazarus, before the incomparable Richie Hawtin steps up to the plate to play his Hï Ibiza debut. Tale Of Us will then return to bring the 24-hour extravaganza to an epic close, a true celebration of underground techno at its best. Looking after proceedings in the ‘Club’ (room 2) Kevin de Vries will kick things off, handing over to one of Brazil’s finest exports ANNA, followed by Ibiza favourite Andrea Oliva, Canadian prodigy Mathew Jonson (live), Berlin techno duo FJAAK and deep techno stalwart Chris Liebing who will close the room. All these acts will provide the perfect soundtrack for an unforgettable opening, keeping the dancefloor moving right through until midday on Sunday. Marking the official opening of both clubs and heralding the start to the 2019 Ibiza season, Odyssey is set to be a ground-breaking start to the summer. For the ultimate opening party experience, clubbers can opt for a 24-hour pass which gives access to both venues for the duration of the event, or individual day or night passes. Tickets are now on sale at www.odyssey.art – grab yours now before they fly. Get ready for a truly groundbreaking opening for the Ibiza season. Both 24 Hour Passes and individual tickets can be bought here. Since opening its doors for the very first time in 2017, the multi-award-winning Hï Ibiza has played host to many of the biggest names on the electronic music scene. Welcoming thousands of party revellers from all around the world each week throughout the season, Hï Ibiza has fast become one of the most sought-after tickets on the island. With world-class residents, state-of-the-art design and sound, plus a commitment to putting the clubber at the centre of the experience, the groundbreaking club has proved itself a force to be reckoned with. Ushuaïa Ibiza Beach Hotel is a luxurious 417-room hotel comprised of two buildings: The Ushuaïa Club, featuring an amazing poolside stage, and The Ushuaïa Tower, offering breathtaking views of the Mediterranean. Ushuaïa is dedicated to providing the best outdoor entertainment venue coupled with a modern, cutting-edge hotel experience. Designed for the discerning traveller seeking the fun and entertainment associated with Ibiza, Ushuaïa continuously raises the bar –from Swim-Up room options, daytime parties hosted by celebrated DJs, to “chromotherapy,” the ability to set the mood to their rooms with LED lights, ensuring that the party never stops. Its collection of dining options is unrivalled, from Ibiza’s first premier steakhouse Montauk and Minami serving sushi and other Japanese delicacies, to The Oyster and Caviar Bar beside the pool and the relaxed Ushuaïa Beach Club providing the perfect fuel for Ibiza party-goers. This entry was posted in Fashion + Music and tagged 360, 360 Magazine, Adam Port, Adriatique, Andrea Oliva, ANII, ANNA, CHRIS LIEBING, concert, Copenhagen, Damian Lazarus, DENIS HORVAT, dj, EDM, epic, EXTRAVAGANZA, festival, FJAAK, fun, Hï Ibiza, Ibiza, international, KEVIN DE VRIES, live, MATHEW JONSON, music, odyssey, party, PAUL KALKBRENNER, Peggy Gou, pop, rager, REZNIK, Richie hawtin, Stephan Bodzin, tale of us, Tara McDonough, techno, the night league, travel, Ushuaïa, vacation, Vaughn Lowery on March 7, 2019 by wp360mag. Electronic duo, SACHI hailing from New Zealand, return with new electro pop punch “Worst Behaviour” featuring Sam DeRosa available today via Casablanca Records. Listen HERE. Following two certified-gold singles, and collaborations with Mick Jenkins and E^ST, powerhouse production pair SACHI ride into the new year with festival ready, inhibition free single “Worst Behaviour.” The edgy EDM execution of Will Thomas and Nick Chrisp flirts with sugar coated pop on the new single, where the 20 year old Kiwi electronic duo link up with rising NYC pop singer Sam DeRosa to create a nightlife rebellion anthem. This entry was posted in Fashion + Music and tagged 360, 360 Magazine, apple music, Casablanca Records, EDM, electronic, iTunes, Madison Smushkevich, Sachi, spotify, Vaughn Lowery, vevo, Worst Behaviour, YouTube on February 9, 2019 by wp360mag. On Saturday January 19th 2019, Circoloco will arrive in Thailand for a one-off event at the award-winning Baba Beach Club in Phuket, with an extensive lineup including Seth Troxler, Nic Fanciuli, Peggy Gou, Richy Ahmed, wAFF, Serge Devant & more. This marks the first time that Circoloco has hosted an event in Southeast Asia, and perfectly coincides with their 20th anniversary. They’ll be bringing their iconic sound to award-winning luxury hotel Baba Beach club, conveniently tucked away from the hustle and bustle of Phuket. Working with local communities and supporting local artists, this collaboration aims to create a space where the international and local music scenes converge, contributing to the development of Thailand’s underground music scene. The vision is to bring both sustainability and music to the forefront, invoking mindfulness for the environment and our natural surroundings, through the use of eco-friendly and biodegradable materials throughout the event. The Circoloco name has been internationally recognized since its launch in 1999 and has grown to become one of Ibiza’s most iconic parties and innovators. In fact, it’s known in the industry as “a rite of passage” for anyone in Ibiza as well as stars of the underground music scene. The brand has a global cult following of highly loyal music lovers, having hosted almost every notable name in house and techno worldwide. Now in its 20th year, this global brand has travelled the globe and is incoming to Thailand for the very first time. Baba Beach Club Phuket is an exclusive beach club hotel and private residences, managed & developed by award-winning Sri panwa. Offering resort-style living with a 200 unspoiled white sandy beach located on a 42 rai beachfront on Natai beach, just 20 minutes north of Phuket International Airport. Designed in a unique Chino-Portuguese Shanghai Tang style with a collection of luxury pool suites and private beachfront pool villas creating an undeniable at-home vibe. The music lovers hotel is exclusively powered by Funktion-One sound system with an imitable music program, having welcomed Nicole Moudaber together with BE-AT.tv, Be Svendsen, Shaded, YokoO, D’Julz, Heidi, and many more. 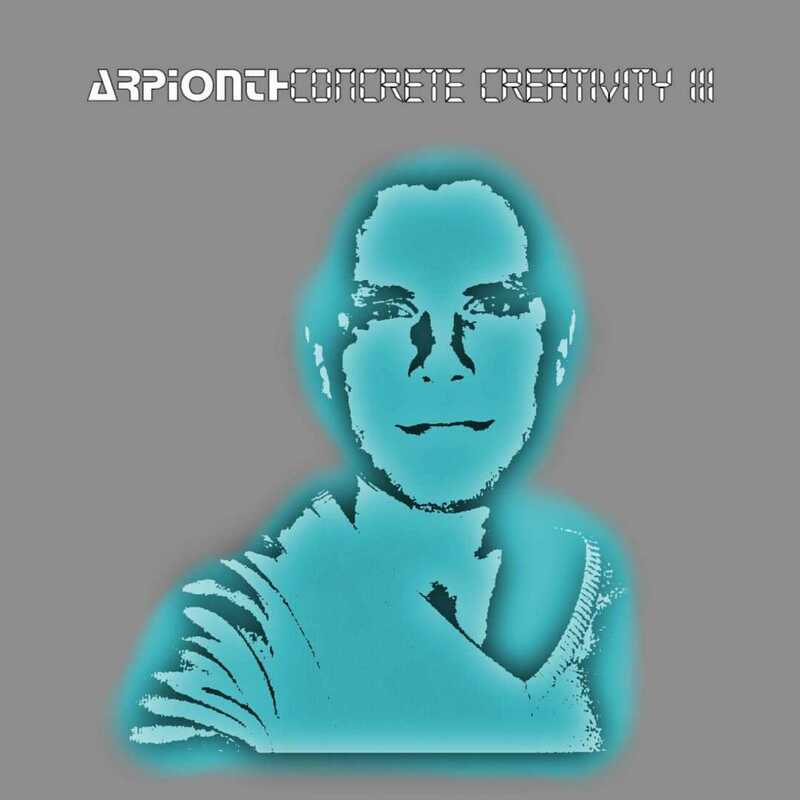 This entry was posted in Travel + Food and tagged 360 Magazine, Be Svendsen, Chino-Portuguese Shanghai Tang, circoloco, Diana Macaraeg, D’Julz, EDM, Funktion-One, Heidi, Ibiza, legend, lit, Nic Fanciuli, Peggy Gou, Phuket, Richy Ahmed, sea, Serge Devant, Seth Troxler, Shaded, Southeast Asia, Thailand, Vaughn Lowery, wAFF, Yokoo on December 17, 2018 by wp360mag. Hermosa Beach is re-creating the movie magic on its iconic pier by temporarily installing and lighting the 12 vintage-style street lamps that illuminated La La Land actor Ryan Gosling’s sunset stroll on the pier in the movie. The Lighthouse Cafe, a Hermosa Beach nightclub that served as the scene for jazz performances in the movie, is providing jazz musicians to perform on the pier for the lamp lighting nightly on Oct. 24, 25 and 26. The Lighthouse Cafe is considered the epicenter of the West Coast jazz movement, hosting performances by many of the legendary jazz greats, including Miles Davis, Charlie Parker and Chet Baker. The lighting ceremonies and nightly jazz performances are previews for La La Land Day at the Beach on Oct. 27, when the City and Kinecta Federal Credit Union will host a celebration of the Academy Award winning movie and the City’s connections to jazz history. 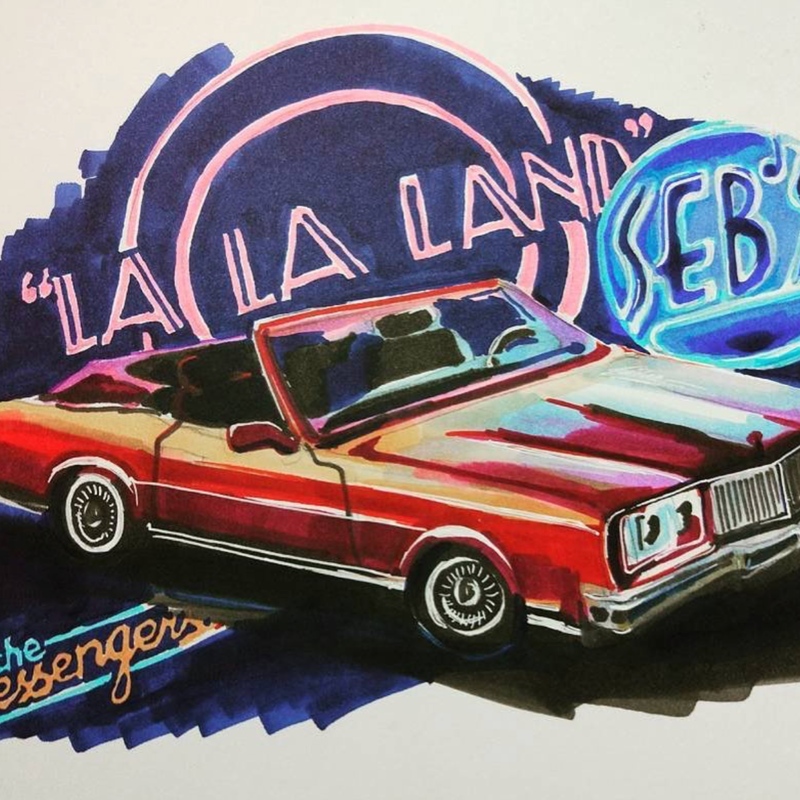 La La Land Day at the Beach will feature performances by the Lou Giovanetti Jazz Orchestra and professional dancers from 5-7 p.m. Friends of the Parks will then provide a free screening of the award-winning movie on a beachfront screen at 7:30 p.m. This entry was posted in Uncategorized and tagged 360, 360 Magazine, artist, California, Canada, Cape Town, Celebrity, Chicago, China, culture, culture magazine, Dallas, design, edgy fashion magazine, EDM, entertainment, fashion, festival, Global Society, Hiphop, Japan, Johanessburg, la, lit, London, Los Angeles, Melbourne, Miami, Milan, music, New York, Paris, pop culture, rap, San Francisco, Sweden, Sydney, travel, UK, Vaughn Lowery on October 25, 2018 by Pitch360. 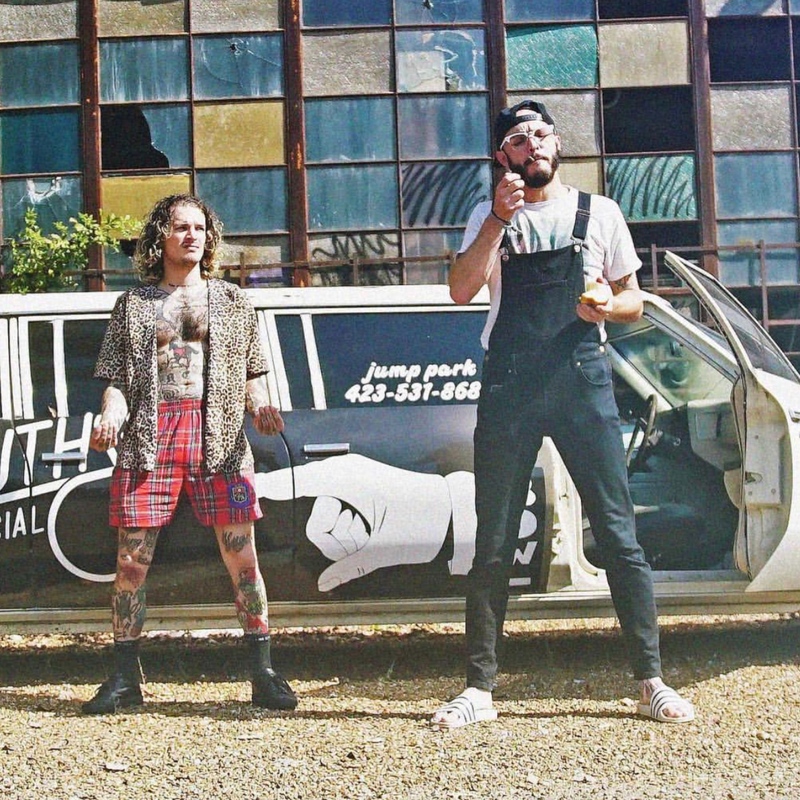 Nashville based electro-pop duo Cherub release new track ‘So What’ today. Click HERE to listen! 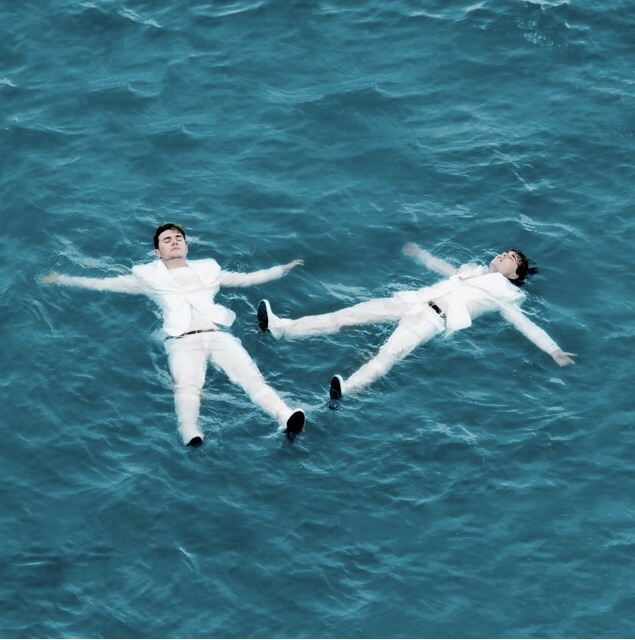 ‘So What’ follows on the heels of their single and music video for ‘Want That’, which premiered Complex last month. The music video also marked the directorial debut for Jason Huber of Cherub. Cherub is currently on their Free Form Tour 2018 that will hit 40 cities across North America by the time is wraps in Nashville, TN at Marathon Music Workson & December 14th. The duo are joined by female electronic artist Maddy O’Neal as the opener. See routing below and click HERE for more information. Stay tuned for more dates coming soon! Earlier this year, the duo released tracks including Dancin’ Shoes and All In which was Cherub’s return after the release of their sophomore album, Bleed Gold, Piss Excellence in the Fall of 2016. This entry was posted in Uncategorized and tagged 360, 360 Magazine, art, artist, California, Canada, Cape Town, Celebrity, Chicago, China, culture, culture magazine, Dallas, design, edgy fashion magazine, EDM, entertainment, fashion, Global Society, iTunes, Jakarta, Japan, Johanessburg, la, London, Los Angeles, Melbourne, Miami, Milan, millenials, music, New York, Paris, pop culture, producers, San Francisco, spotify, Sweden, Sydney, UK, Vaughn Lowery, Yash Thadani, youth on October 19, 2018 by Pitch360.